Vivien teaches and researches in the fields of legal ethics, legal education and the legal profession. Prior to joining ANU, Vivien worked as a litigation solicitor in private and government practice, a government legal policy officer, the Registrar of the NT Supreme Court, the NT Registrar of Probates, the NT Deputy Coroner and a Judicial Registrar of the NT Magistrates' Court. She has been a member of the Social Security Appeals Tribunal. Vivien is the Associate Director of Research for the ANU PEARL Centre (Profession, Education and Regulation in Law). She is a member of the ACT Law Society’s Complaint Committee. Thirteen ANU College of Law students will have the chance to experience the teaching and operation of the law in a developing country, as they set off for the College’s inaugural Myanmar Clinical Program this week. The transition from law student to newly-admitted lawyer is a critical time, not only for the mental health and wellbeing of these lawyers but for the future of the profession. Eight ANU College of Law staff members were awarded for their excellent contribution to teaching in 2012. Vivien's research focuses on the legal profession, legal ethics and legal education She has written on the effectiveness of the Giving Voice to Values curriculum in law, a curriculum that focuses on building skills for ethical action. She is currently engaged ( with colleagues Tony Foley and Stephen Tang) in an empirical study of the ethical climate of Australian legal practice workplaces. Vivien is a regular presenter at the International Legal Ethics Conferences. Another of Vivien’s research projects (with Tony Foley, Stephen Tang and Margie Rowe) explores the transition of law graduates to legal practitioners. Building on a qualitative pilot study, the current quantitative project investigates the experience and professional development of new lawyers. 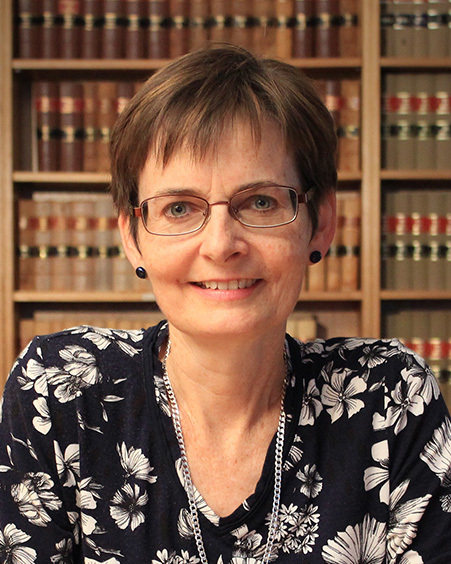 Vivien’s other research seeks to critically appraise current ethical practice in the profession, including the behaviour of lawyers acting for the Catholic Church to defend sexual abuse cases. Vivien is the Associate Director of Research for the new PEARL Centre (Profession, Education and Regulation in Law), responsible with Professor Paul Maharg for the Centre’s research direction and strategy. 'Ethical Misconduct by Australian Young Lawyers: Prevalence and Prevention' at Workshop on Regulating Lawyers Through Disciplinary Systems, Institute for the Sociology of Law, Onati, Spain, 26-27 April 2018 ( with Tony Foley, Stephen Tang). 'Weather Ahead: The Influence of Ethical Climate on Pscyhological Wellbeing and Professionalism in Newly Admitted Lawyers' at National Wellness for Law Forum, Bond University,Gold Coast, 15-16 February 2018 (with Stephen Tang).
' The behaviour of the lawyers acting for the church in the Ellis case / ‘Melbourne response’ matters’ as part of a panel on 'Lawyers and Moral Conversations' at the Australia New Zealand Legal Ethics Colloquium, Melbourne, 3-4 December 2015. My philosophy of teaching is being heavily influenced by recent research in neuroscience and in particular the place of emotion in learning. My own research into behavioural ethics (or moral psychology) has deepened my understanding of the many non-rational influences on human behavior. In relation to learning, I am realizing just how important it is to engage students’ emotions, if they are to learn anything of consequence and then use what they have learned in wise decision making. I believe teachers should provide a challenging, but safe place for students to try things out: as Damasio has noted that ‘not enough emotion is detrimental to learning and so is too much’. So my aim is that students will get emotionally involved (engaged, interested, perhaps even a bit nervous at times) in their learning. I am conscious of the importance of providing students with opportunities to learn not just technical legal skills, but generic life skills (communicating in plain English; how to act on your values; the importance of knowing yourself and looking after yourself; team work) that will stand them in good stead whatever their career path. I am a strong believer in problem based learning - allowing students to work through a real world problem while grappling with the knowledge and skills they need to resolve it. My work informs policy in the areas of legal ethics education and professional regulation. in 2015, I was the lead author ( with Professors Adrian Evans, Reid Mortensen, Jeff Giddings, Dr Justine Rogers and Francesca Bartlett) on a submission to the Law Admissions Consultative Committee on Academic Requirements on Admission to practice. Our submission argued that Ethics and Professional Responsibility should remain an academic requirements for admission.